A Beer Mat co produced by a number of groups that are calling for a No vote in the Referendum to Repeal the 8th. 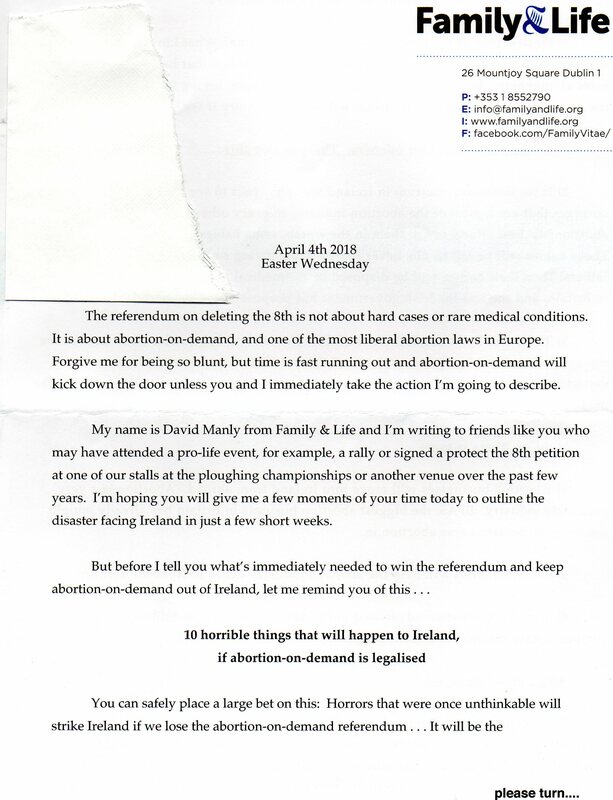 A letter from Family & Life with regard to the 8th Amendment Referendum Campaign outlining what will happen if the Referendum passes. It also has an appeal for funds.